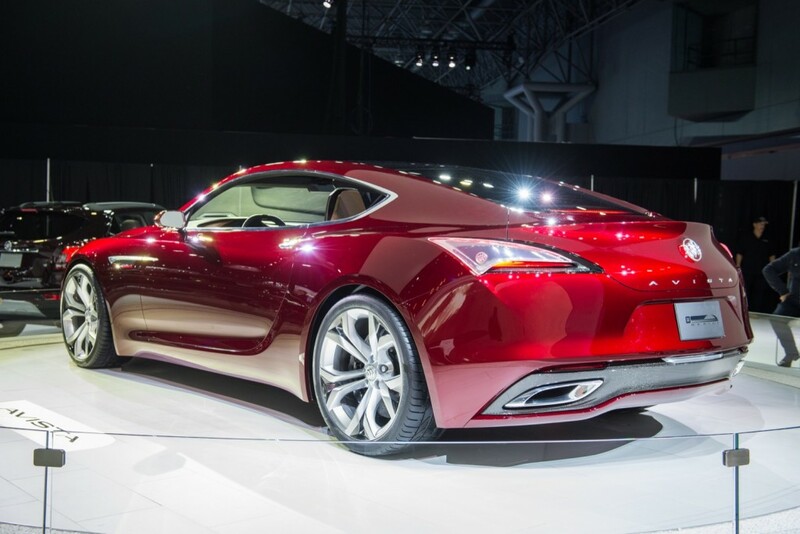 Could The Chinese Market Sway Buick Avista Production Approval? 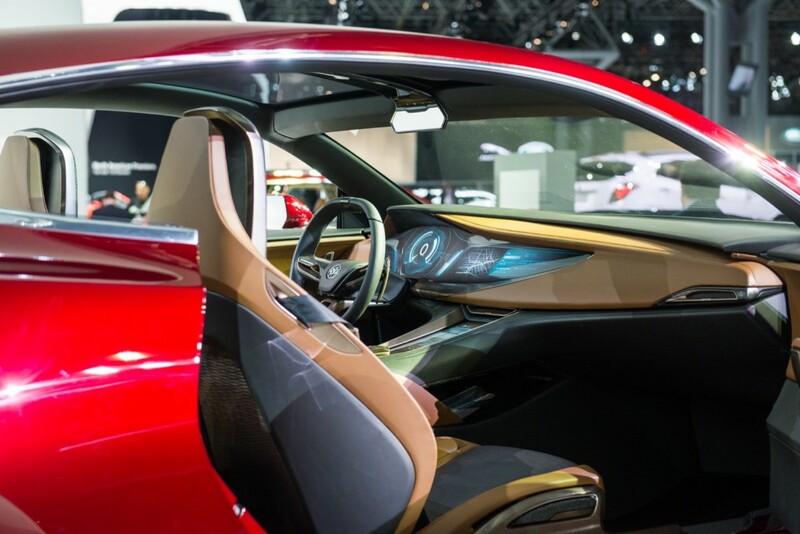 Buick has been all about riding the buzz train that is the Avista concept. Everywhere the concept has landed, it has made quite a splash with media and show goers alike. Unfortunately, the brand has utterly shot down the idea of producing the concept, despite the immense buzz surrounding it. “All we’re saying at this point is that it’s a concept,” Tony DiSalle, Buick Vice President of Marketing, told AutoGuide. What’s holding the vehicle back? One of Donald Trump’s favorite countries: China. There isn’t much of a market for a two-door performance coupe in the country, as crossover craze takes The People’s Republic by storm. And China is, obviously, a big market for Buick. Out of every five Buicks sold internationally, 80-percent are moved in China. The United States and Canada are mere crumbs compared to this. “We’ve never really combined today’s design vocabulary, this sculptural exterior beauty with the performance heritage of the brand,” he said, alluding to the Nailhead V8 engine of yore and the Grand Nationals and GNXs of the 1980s. If the Buick Avista has any chances at reaching production, rounds around China will be necessary to gauge perceptions. Fortunately, as seen in the case of Cadillac, younger Chinese buyers actually enjoy driving, rather than being chauffeured about. With that in mind, an enthusiastic response from the Chinese market could be the all the leverage the Buick Avista concept needs for a production model. Such a car, (maybe with 4 doors and a little bit smaller), could be used as a Buick halo car, as an Opel/Vauxhall halo car and as a real Holden Commodore replacement. So it could be offered nearly globally. Buick, Opel/Vauxhall and Holden together are selling nearly 2,5 million cars a year. I think that’s enough to offer a niche car like this. It also could share componenets with the next generation Cadillac ATS for example or other GM products to reduce the costs. If Opel/Vauxhall and Buick can manage a car like the Cascada, they could easiliy manage such a car which I think could generate a lot of more units then a convertible. I like your enthusiasm but no way a vehicle in this price range sells 2.5 million units per year. That would make it a much higher volume than the Cruze. The Cruze took over 6 years to get to 3.5 million units worldwide. I agree that if GM wants to make it there is a business case for the Avista. Ah he said collectively the 4 divisions sell that many vehicles not one car. On the Chevy and Ford trucks do 2.5 Mill. You make an excellent case for Avista considering that the “hyper-brand” tops 2.5 m units per year, & that parts could be shared with possibly both Cadillac and Camaro. Furthermore, Avista needs v to represent Buick design language going vgoing forward. Cadillac can no longer be used as an excuse to limit Buick and in turn Chevrolet. There is little coupe market here too. For this car to progress it would have to gain two more doors. I would keep the shape but lengthen it and make a low roof coupe styled sedan. That segment is growing and it would make a good flag ship car. Whatever it takes.. even if they need to build the Avista in China. The Avista is a great looking vehicle, and should offer a sedan version, since a coupe’s doors are heavier and limit the rear interior entry and egress. That car wouldn’t work as a sedan. What’s next, 4 door Corvettes? The Buick Cascada is a niche car , did GM have to get China’s response to bring it to America . There isn’t much of a market for a two-door performance coupe in this country……….. seriously ! That’s what a huge proportion of the millennials are doing withe their cars these days is heading to auto parts stores to tweek more horsepower out of their cars . Buying exhaust systems and wheels etc.. Buick doesn’t need to sell 100,000 of these , but if they brought it to market with a price a bit higher than a Camaro , salesmen at Buick dealerships would see the faces of young people and not the white-haired group . Talk about helping your image as not your grandfathers car . Forget about China , let them buy LaCrosses . Thats what they want anyway . Do we need to learn Chinese ?